Leaf-spine disrupted the data center network, and now it's disrupting routing. About a decade ago almost all data centers were built on a traditional three- (or sometimes more) tier architectures that used the spanning tree protocol (STP). That prevented routing loops but also deactivated all the backup links, which accounted for almost half the ports in large environments. This caused organizations to significantly overspend on their networks. Leaf-spine networks, on the other hand, have only two tiers, are much flatter and use something called ECMP (equal cost multi-pathing). So all routes are active, creating a much more efficient network that more agile and costs less. The traditional three-tier data center was designed to scale up, which was the key requirement in the client/server era. Leaf-spine is optimized for rapid scale out, which has become critical in data centers today, as more and more traffic is moving in an East-West direction. Arista Networks built a great product and was one of the key evangelists for data center evolution. The company cut its teeth with cloud providers but quickly found its products being used to revamp data centers in large enterprises. To date, almost all of Arista’s success has come in replacing legacy switches. Now it has put routing in the crosshairs. This week, the company announced that the latest release of its operating system EOS 4.20 has new routing capabilities. It’s important to note that Arista isn’t building a router. Rather it's adding routing to its leaf-spine architecture to transform routing and better align it with cloud principles. Legacy routers have been around a long time, and they did a great job in being the backbone of every major network that’s out there, including the internet. However, times have changed, and the traffic patterns in a cloud-first world dictate a different architecture. For example, routers were built to be multi-protocol in nature, but today ethernet and IP have won, so that’s no longer a requirement. Also, LANs and WANs used to have very clear points of demarcation, but today’s cloud-first world has blurred those lines. Rapid scale out. Traditional routers, like legacy switches, were designed for scaling up, whereas companies now need to be able to scale out quickly. Arista’s software was designed for leaf-spine with support for ECMP and load balancing and offers network-wide visibility with BGP monitoring protocol and real-time state streaming. Simplified architecture. The flat network created with a leaf-spine architecture is operationally simpler than a traditional network built with legacy routers, particularly as the network scales out. In addition to simplifying the architecture, Arista’s implementation has several operational benefits from having a single software train that spans all of its products. 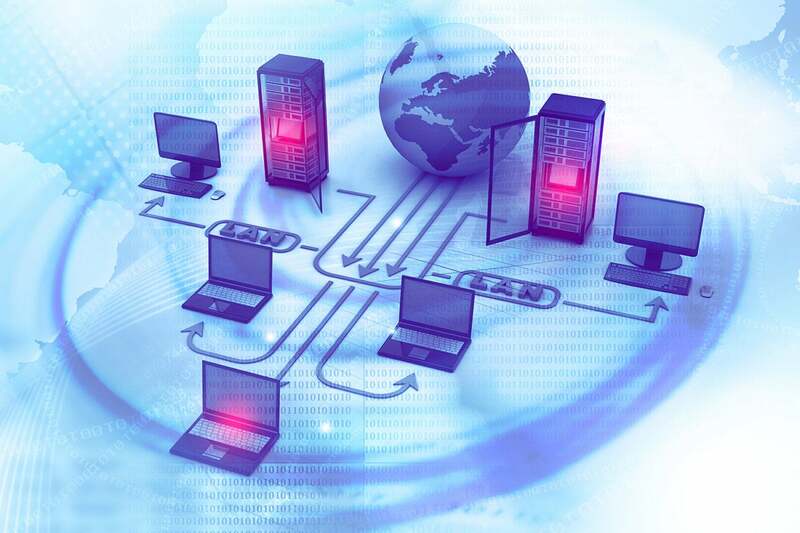 Although Arista was designed initially to replace data center switches, its software offers a full routing stack that includes BPG, EVPN and segment routing. Software control. Engineers can automate network operations through a wide range of programming tools, including Arista’s EOS SDK or open APIs. Arista has also made container (cEOS) and virtual (vEOS) versions of its products available for simulating large-scale networks or for certification purposes. 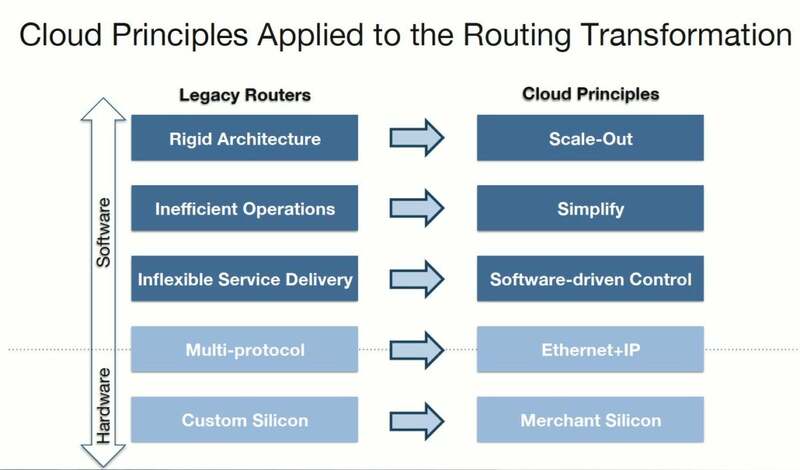 The initial uptake of Arista’s solution is where routing is transforming because of the need to scale out rapidly and that’s in cloud networks, internet exchanges and at the consumer edge. For example, streaming cloud providers are shifting to software-based routers to optimize content delivery, improve visibility and have a network that is more programmable. However, this is a trend enterprises should be keeping an eye on, as this architecture is likely to make its way into business networks in a few years. A similar shift happened in data centers years ago where webscale organizations quickly adopted leaf-spine and enterprises lagged. Roll the cloud ahead a few years, and many large enterprises have shifted to a modernized, leaf-spine network — many built on Arista equipment. That's because it’s a better, lower-cost way to architect a network that scales faster and is more agile. The same shift is likely to happen in routing in the core of many corporate networks. It’s important to understand that one doesn’t need a router to have routing functionality. Once that mental hurdle is crossed, many new options will be available.